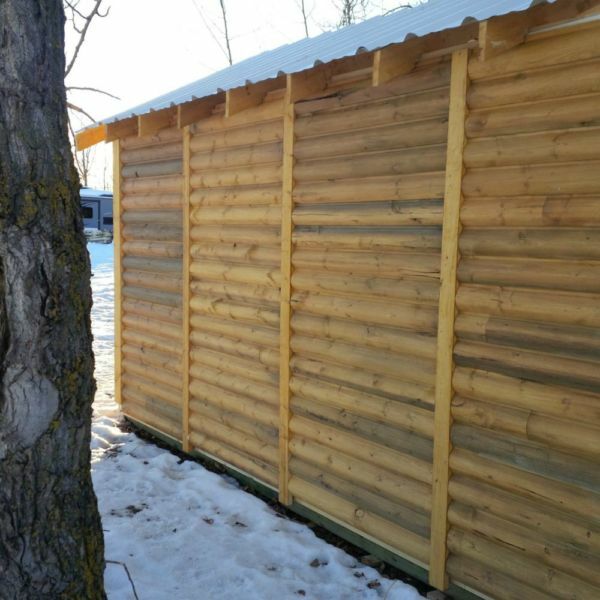 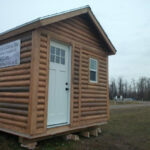 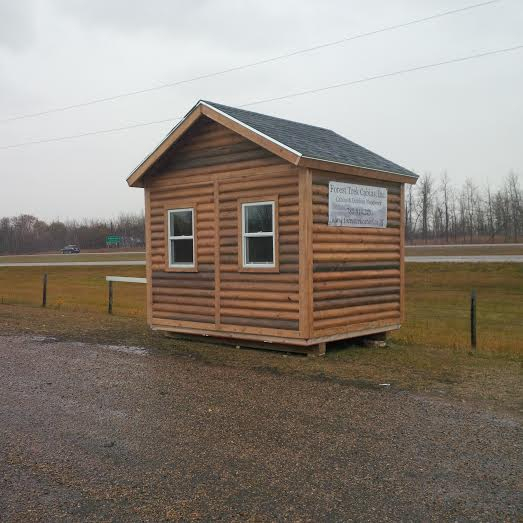 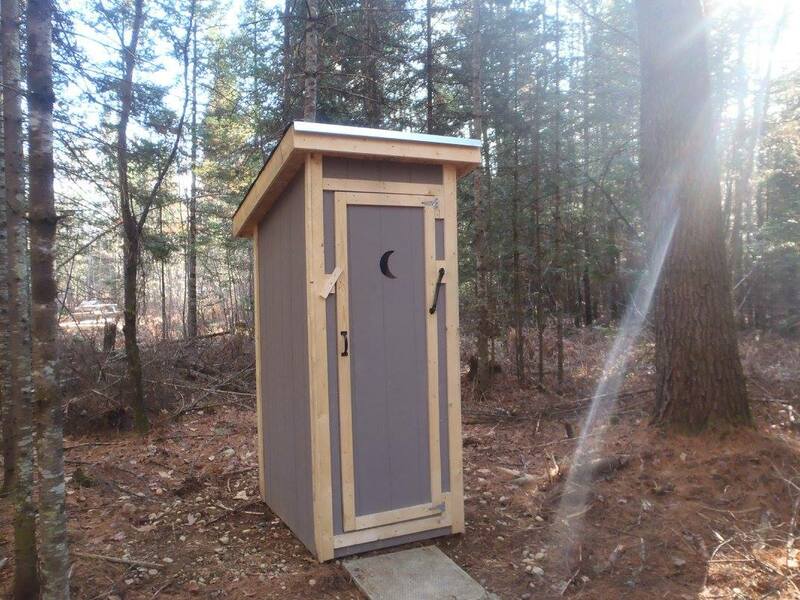 This cabin kit is pre-built in panel sections and assembled on site within two to three days. 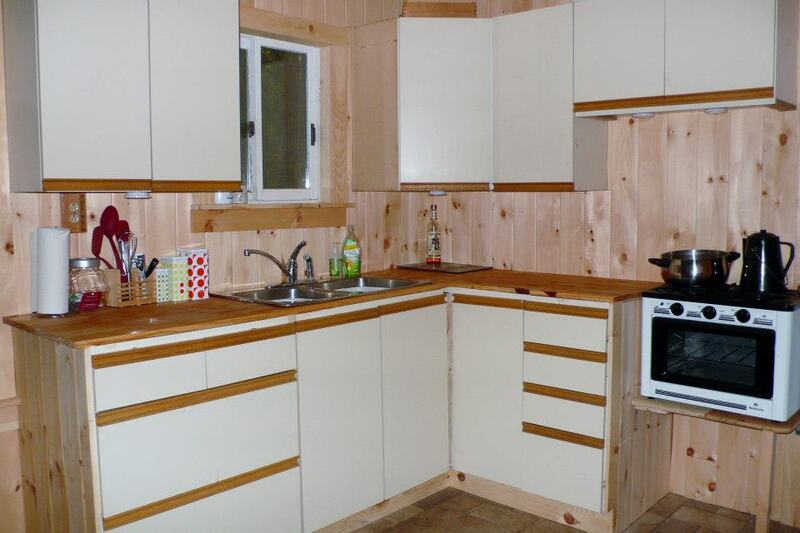 The exterior is completely finished after assembly and the interior is ready to be finished to your desire. 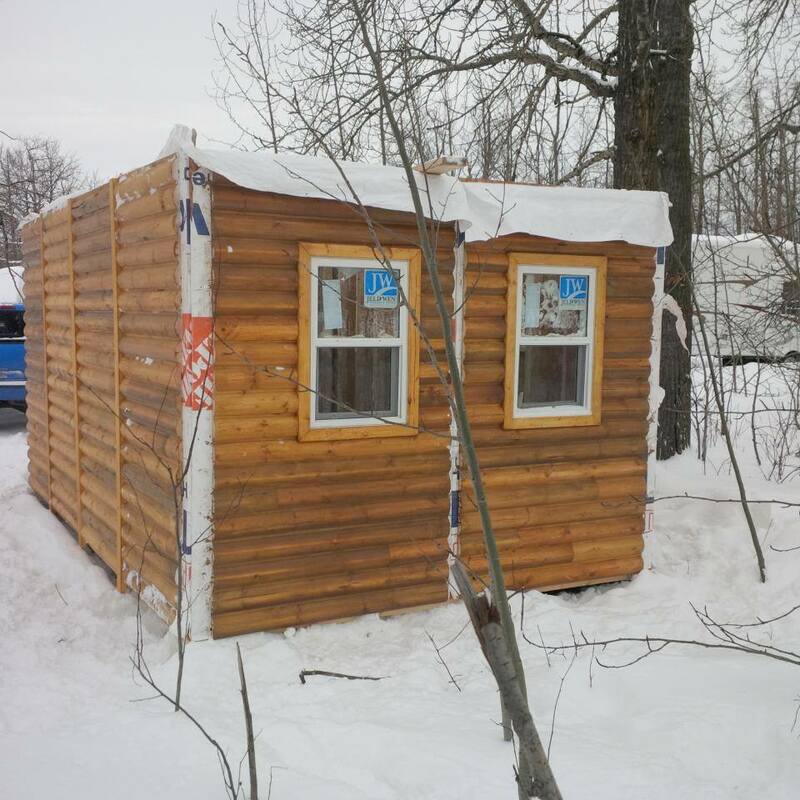 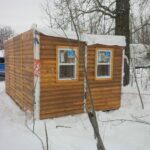 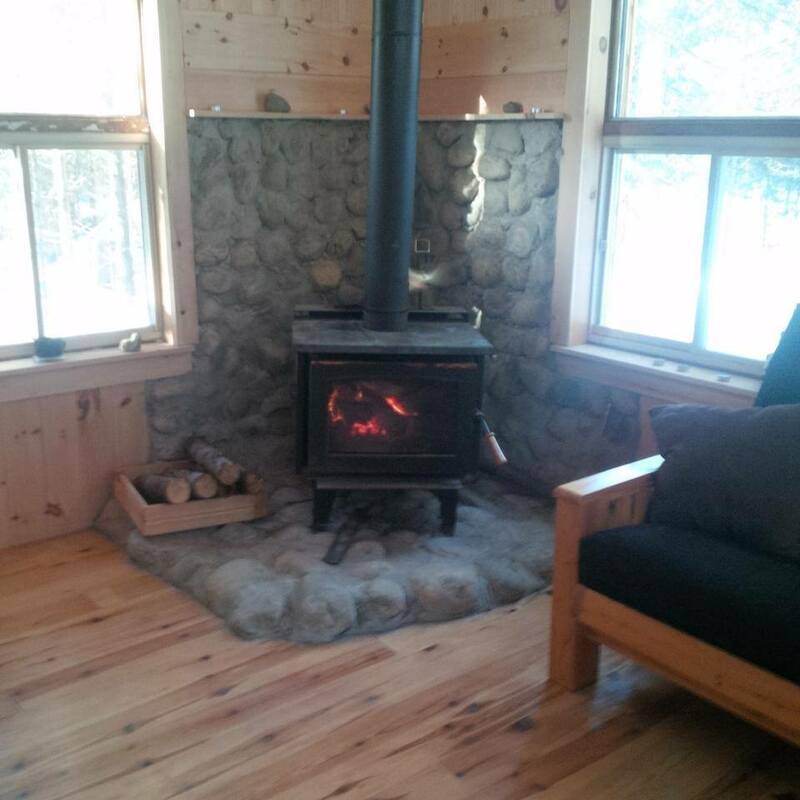 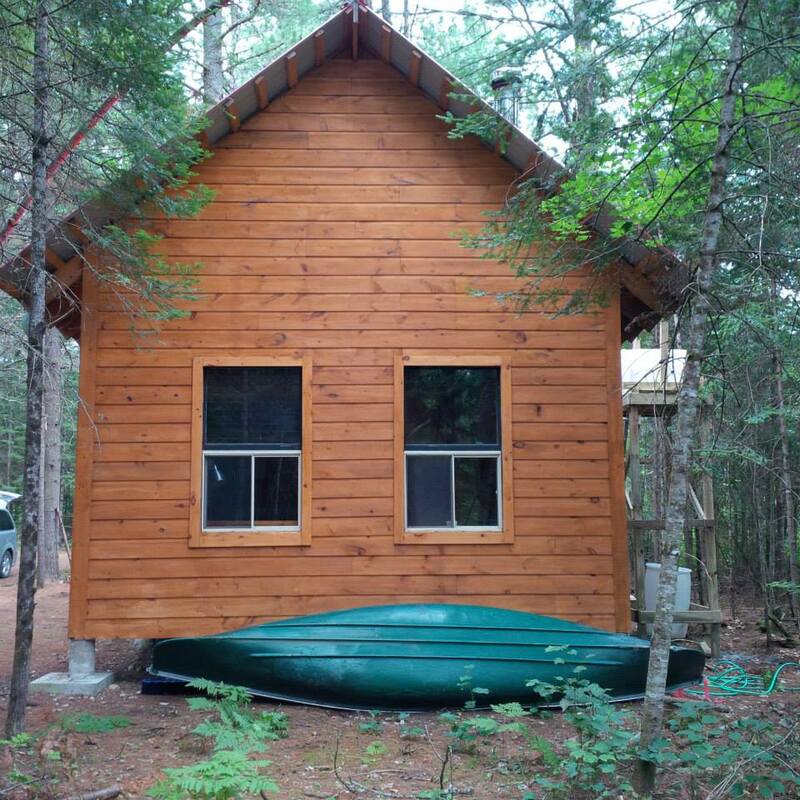 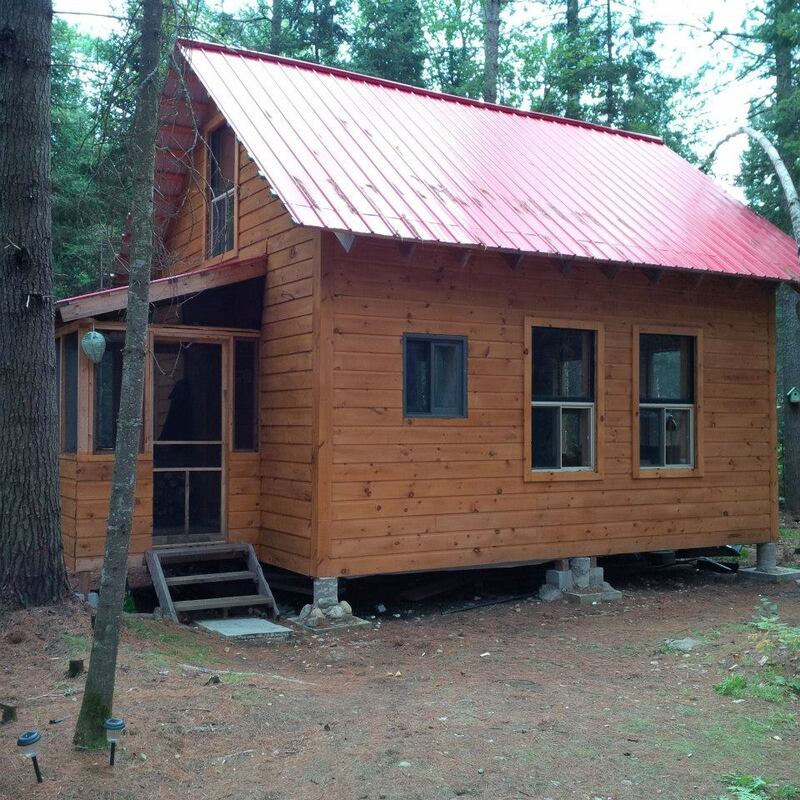 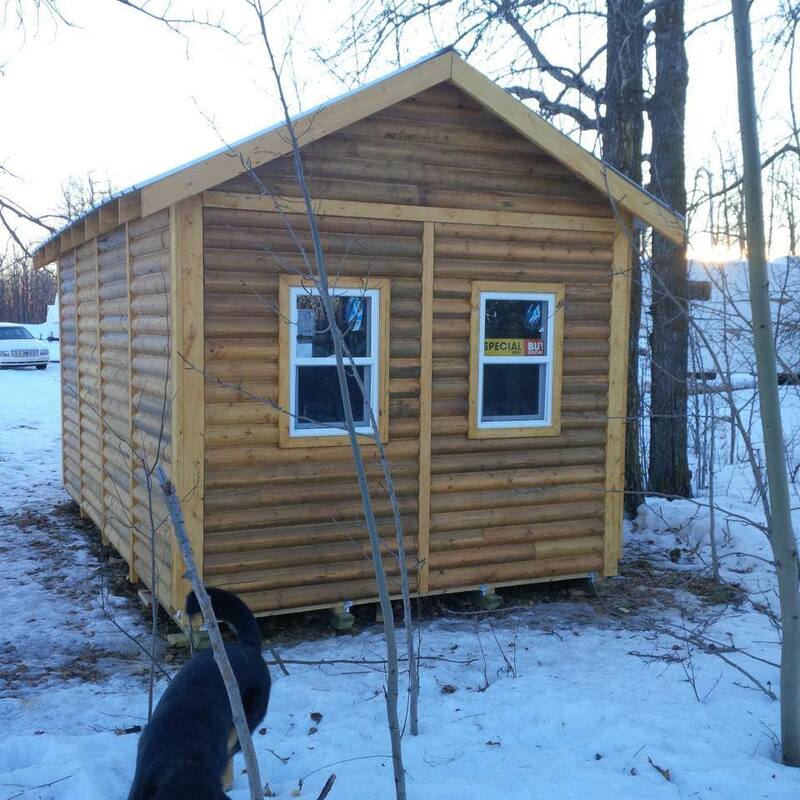 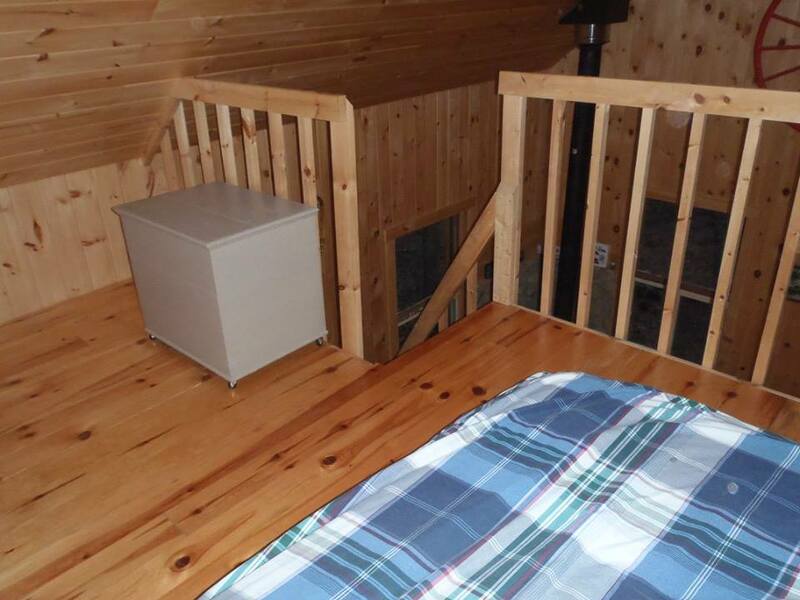 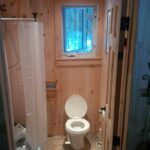 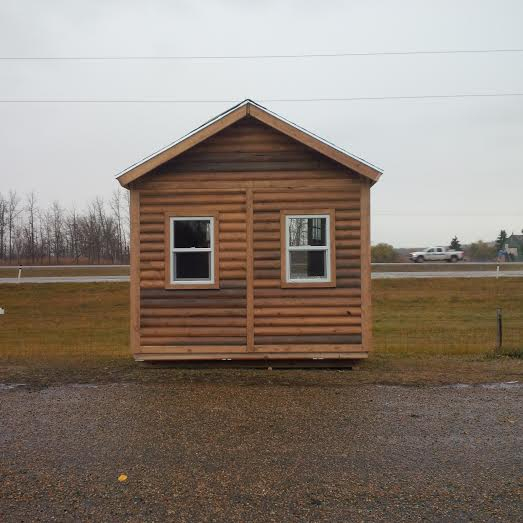 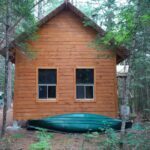 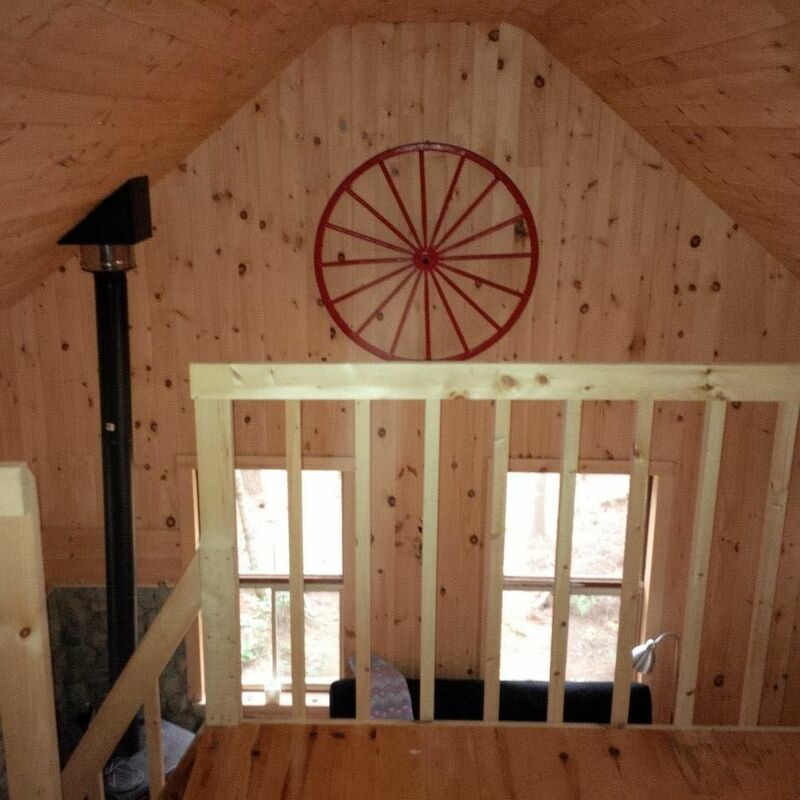 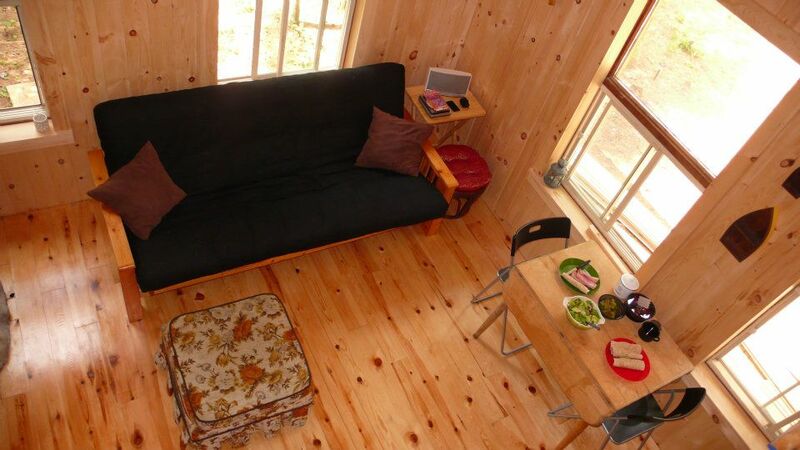 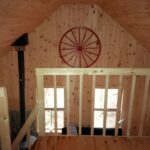 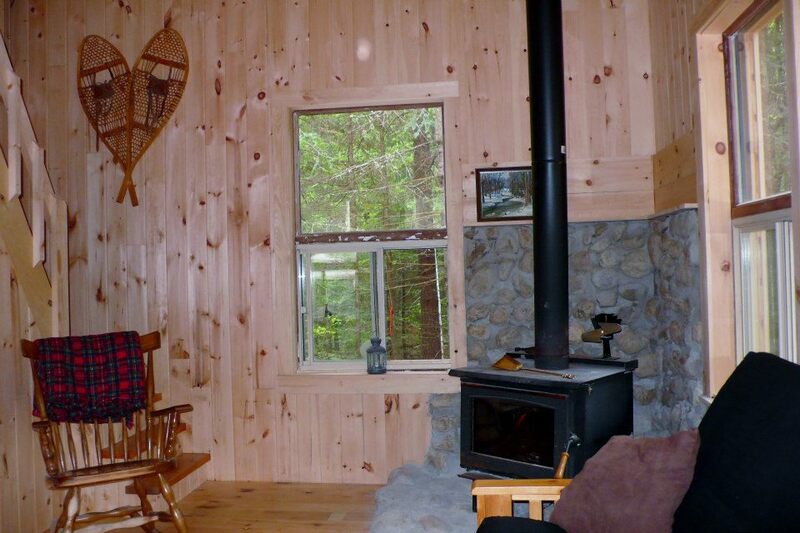 The Little Red Cabin has a 16’x 20′ footprint with ten-feet-high walls to give extra room in the upper loft area. 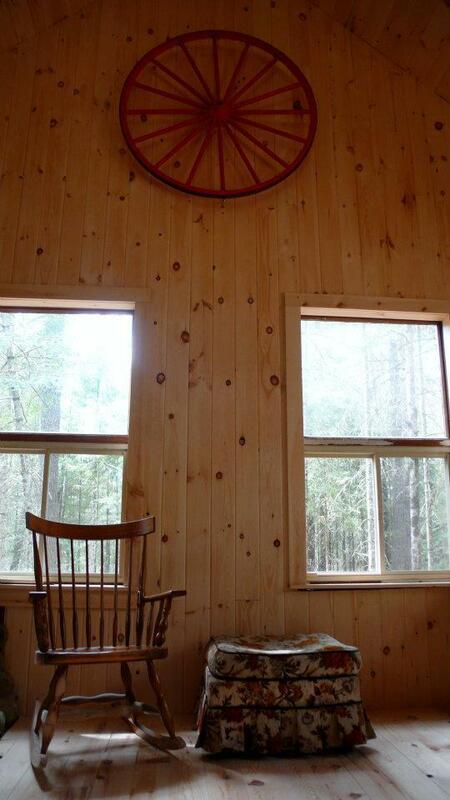 The exterior and interior is finished with local milled white pine. 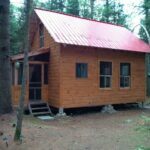 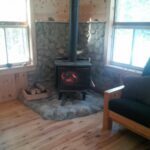 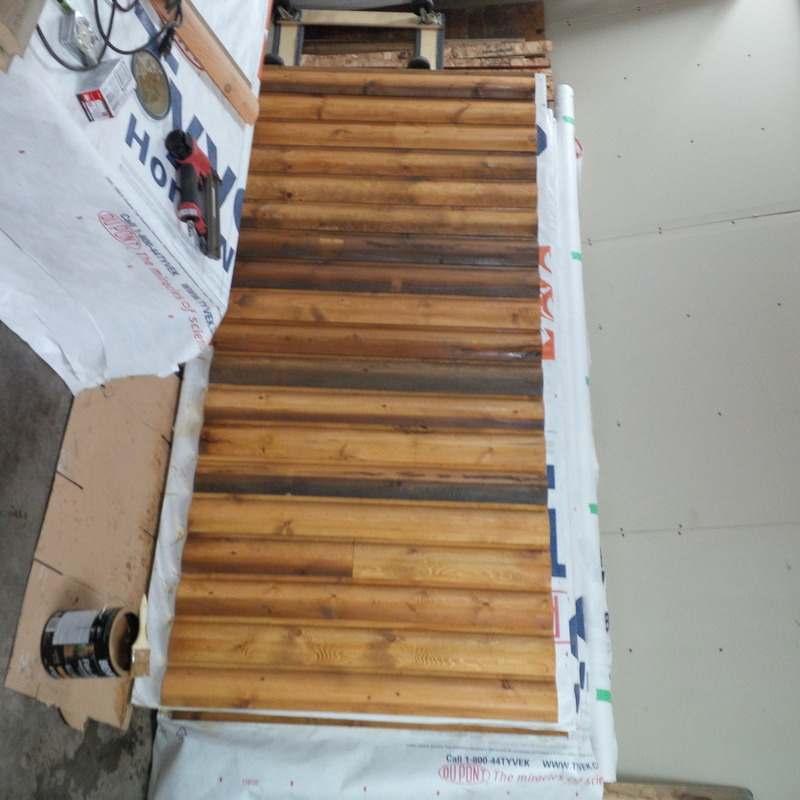 The exterior has a white pine channel siding, the interior is also finished with white pine, and the floor is a more durable red pine. 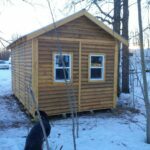 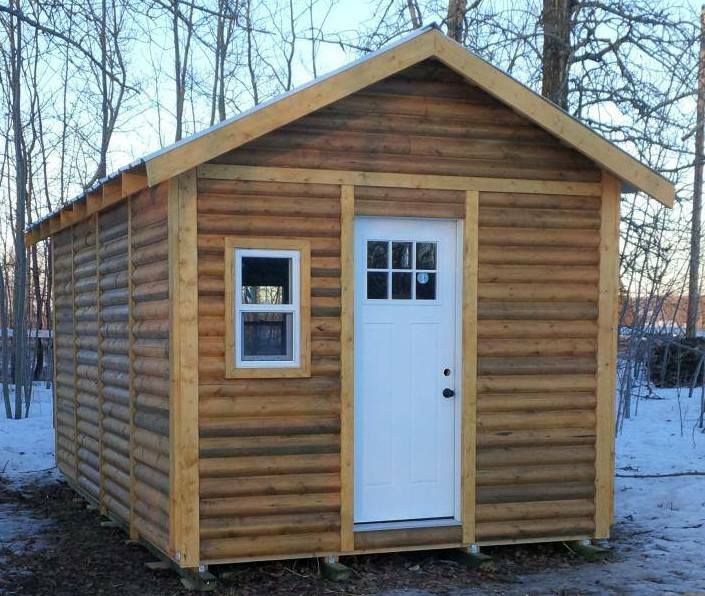 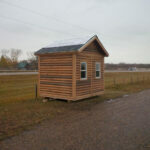 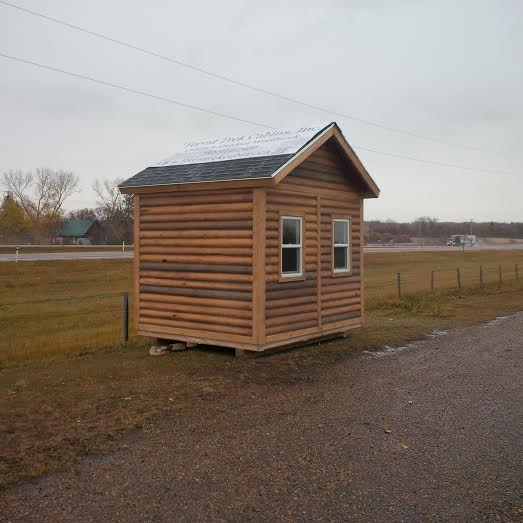 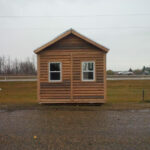 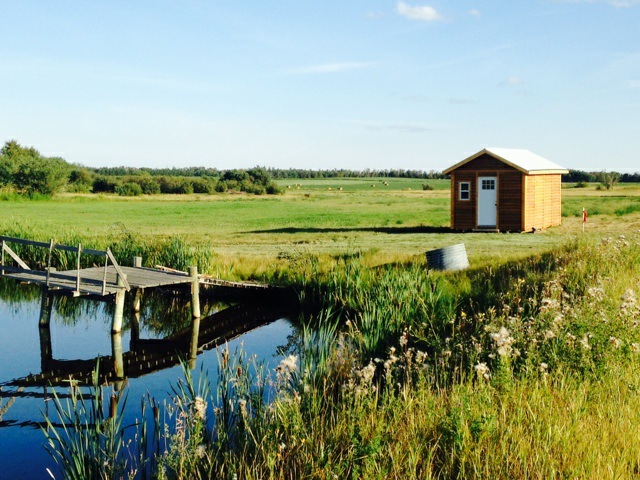 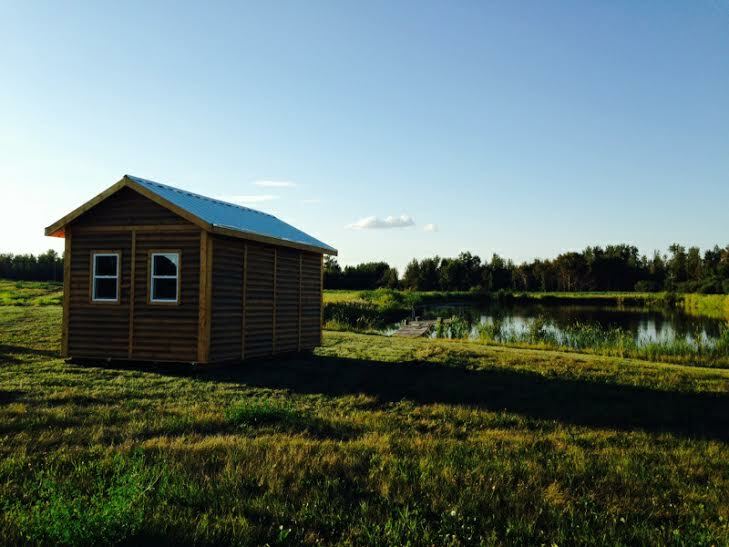 This cabin kit is pre-built in panel sections and assembled on site within two days. 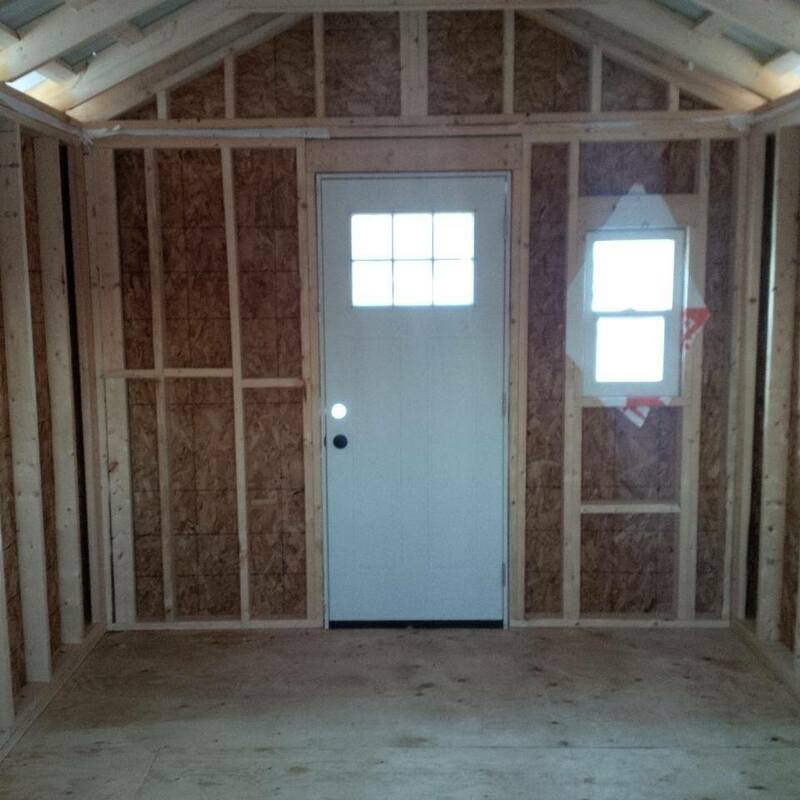 The exterior is completely finished after assembly, and the interior is ready to be finished to your desire. 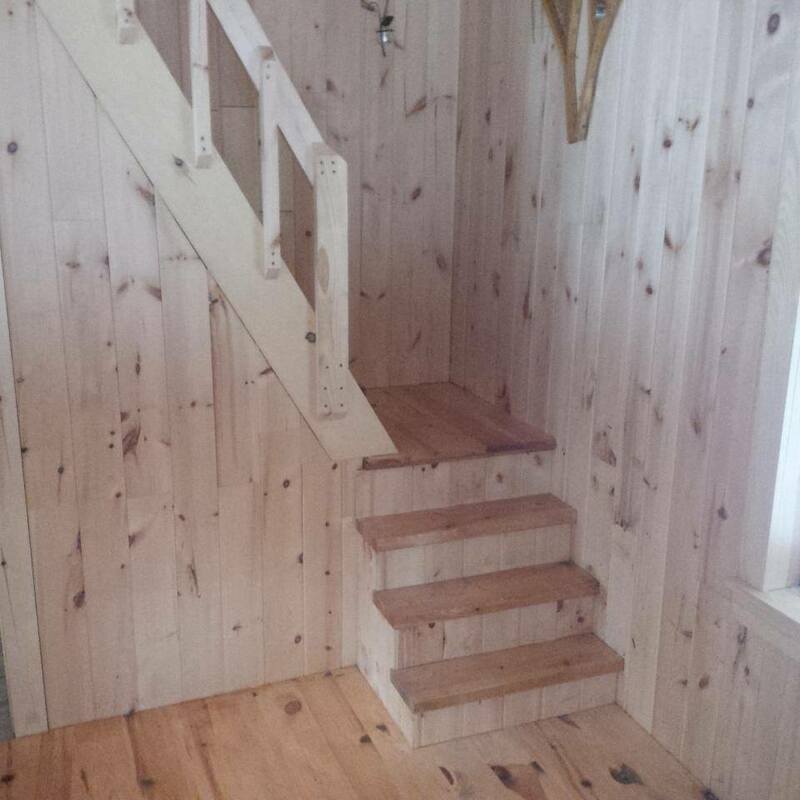 The interior of this model was finished with T&G pine and cherry solid hardwood flooring. 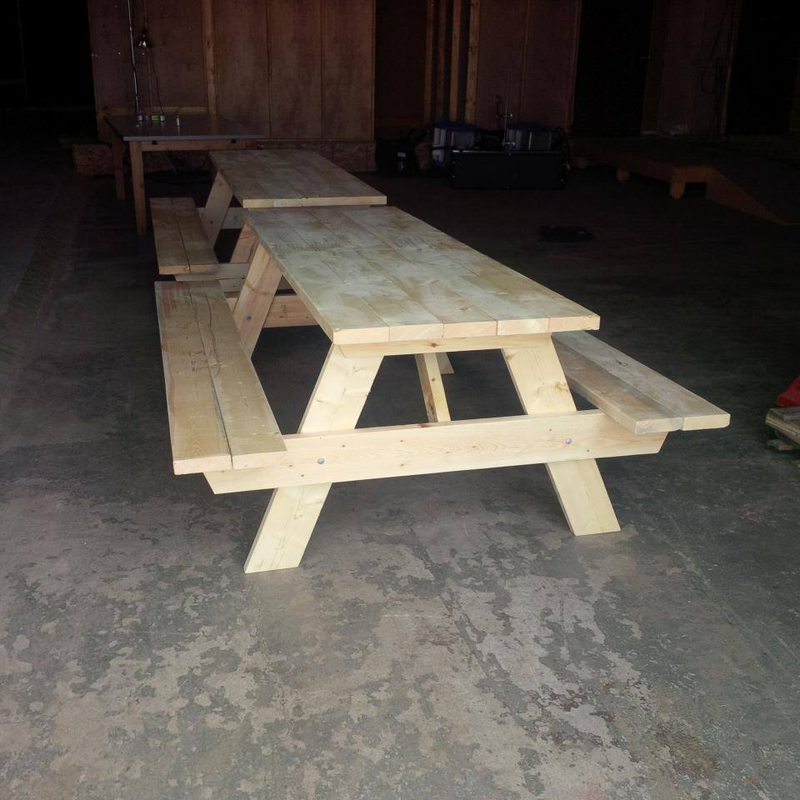 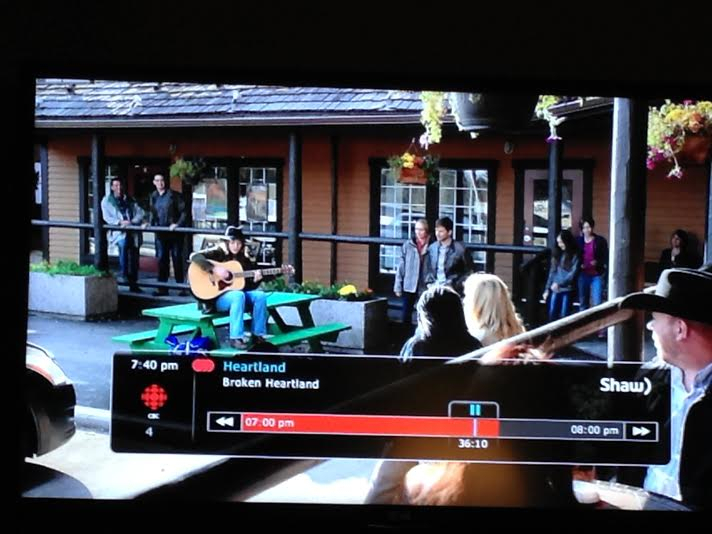 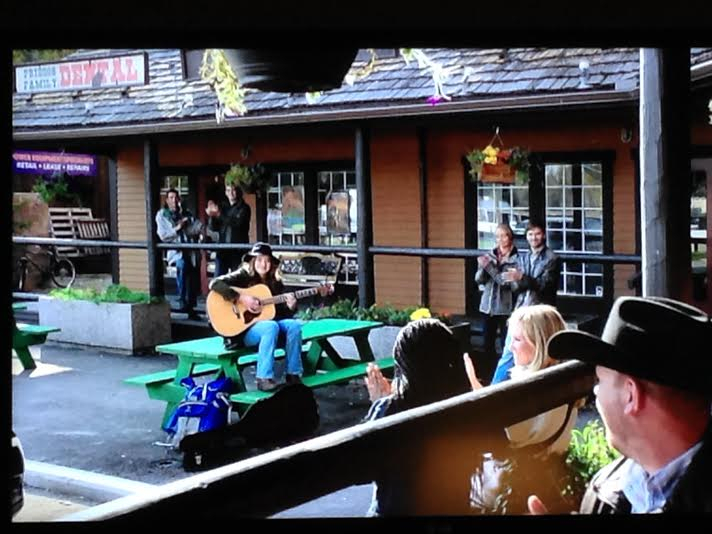 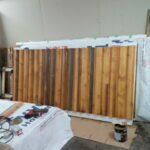 Earlier this year we had a special order from CBC’s heartland for two of our picnic tables. 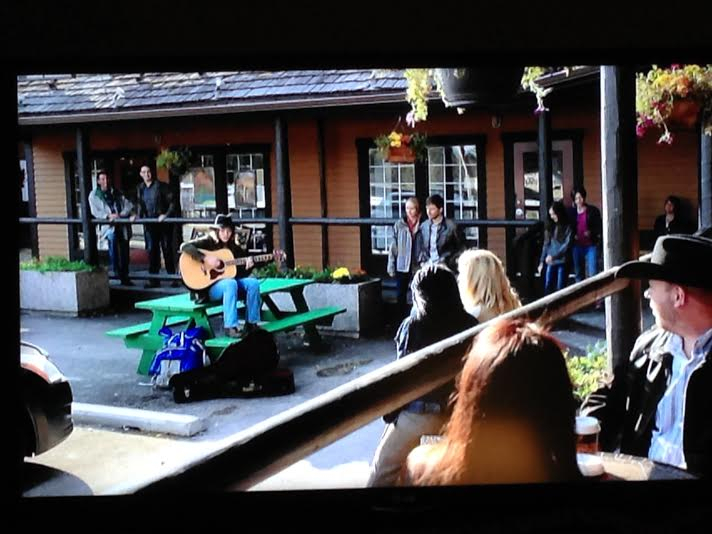 They were aired on Season 8 episode 12. 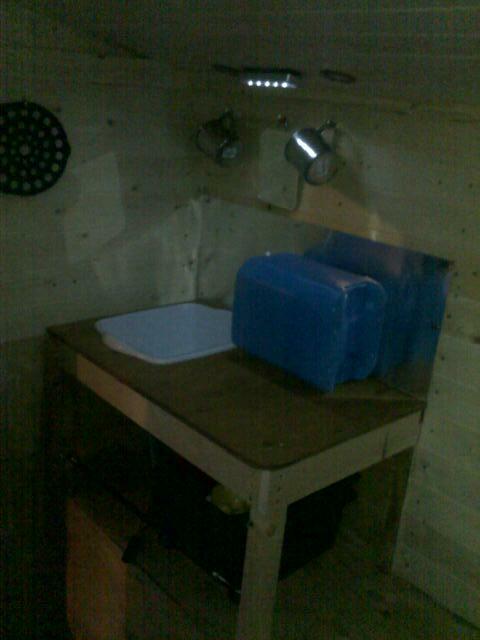 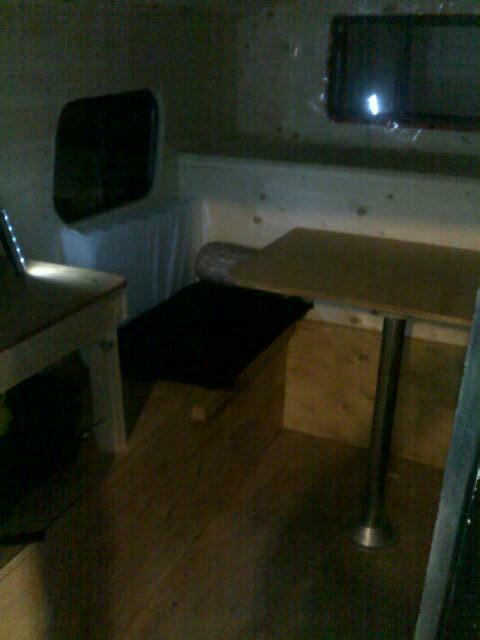 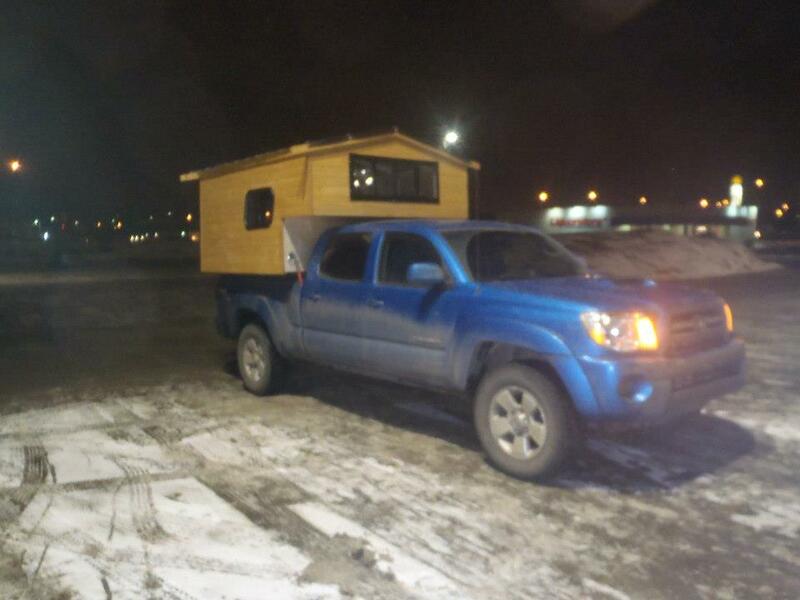 This Micro Camper Truck Cabin was built to fit onto a Toyota Tacoma. 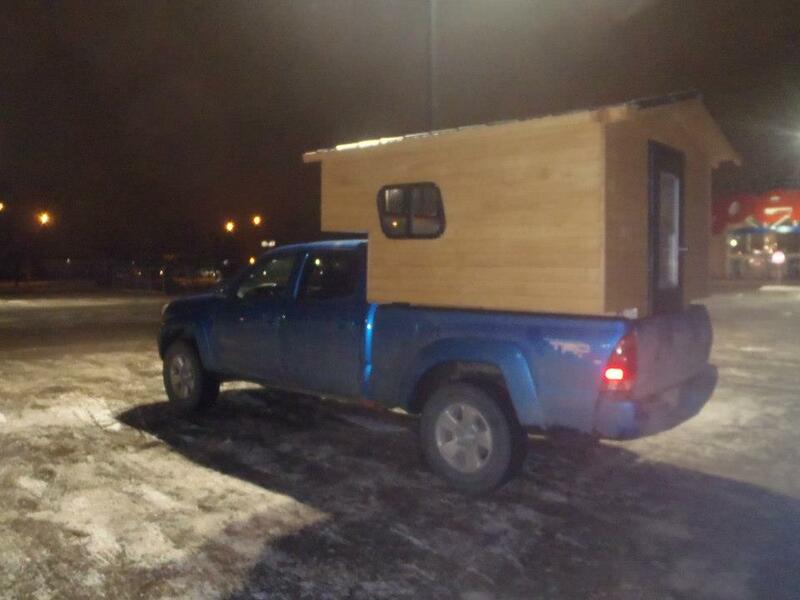 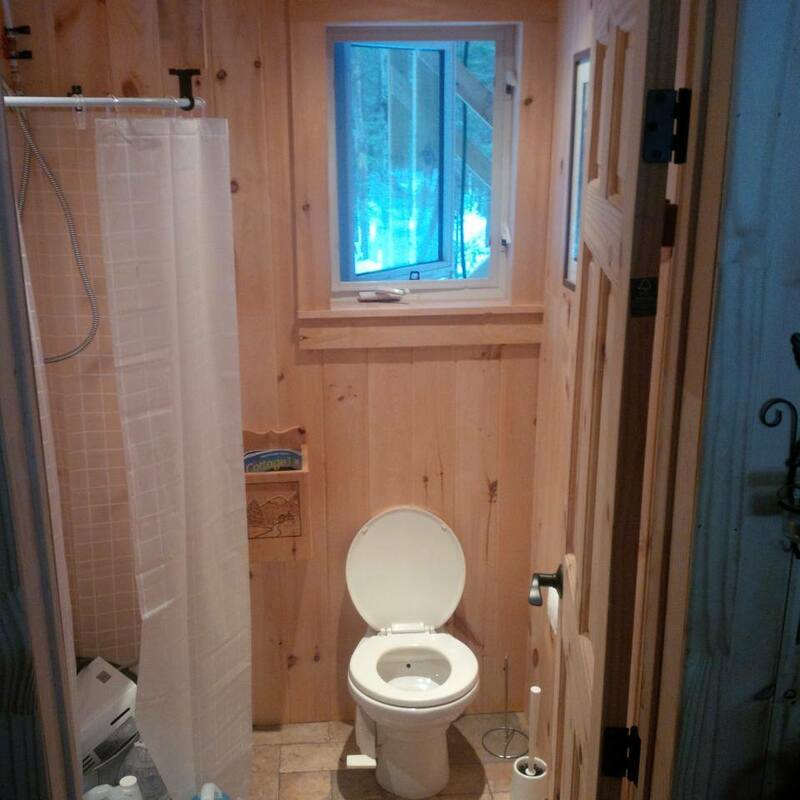 Now you can have the cozy feel of a cabin combined with the ability to take it anywhere you desire!